Greetings readers! We here at UWG are happy to announce the start of a new daily series call Today in Gaming History. Each day you’ll see a post here under that title containing a snippet from the grand, culminated history of video games! 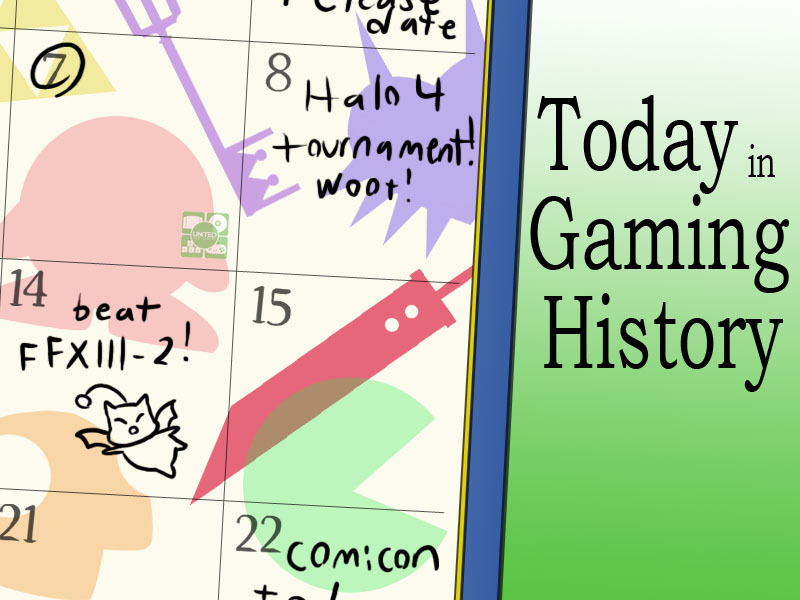 These posts will represent a mix of gaming-related events that occurred on specific days or in a given month or year. (And you’ll just have to check back each day to find out which one it is!) Please share any thoughts you have about the series, the posts, or gaming history in general in the comment section — feedback is always welcome! So, without further ado, let’s get on with the first post! Starting off this series, we celebrate the anniversary of Activision (now Activision Blizzard), founded thirty four years ago this month. Activision was the industry’s first independent video game developer and distributor. Its games have spanned classic consoles (from the Atari 2600 onward), and they’ve published many famous and respected titles, such as Pitfall! (1982), Tony Hawk’s Pro Skater (1997), and DOOM III (2004). Over the course of its existence, Activision has invested in and/or acquired a number of game studios — Neversoft, Sierra Entertainment, and Infinity Ward to name just a few — most of which have bolstered the company’s standings in the industry. In the late 2000s, Activision and Vivendi Games combined their efforts to form Activision Blizzard, which is still going strong today. The company has a number of upcoming releases, probably the most hyped of which is Call of Duty: Ghosts, which is due out in November. Whether you’re gearing up for some new FPS action or dusting off your old copy of Kaboom! give a nod to Activision today. Looks like they’ll be producing plenty of gaming goodness for years to come. Do you plan on picking up CoD: Ghosts? Or do you have any favorite Activision games? Let us know in the comments! i enjoyed the spider-man game on ps1 that Activision and neversoft. Didn’t they also have Vicarious Visions? Yes, doesn’t Activision own VV? They worked on DOOM 3 for the Xbox, the Tony Hawk games, and a bunch of others. Seems they’re headlong into Skylanders these days. Last week, I started a series over on United We Game called “Today in Gaming History.” Each day I offer up a quick blurb about something from the video game industry’s illustrious and occasionally unsavory past. I don’t know about you, but I’m one for understanding the past to know the present and the future, and I hope you’ll stop by UWG to revisit all that came before with me! These posts go up daily at 1pm EST.